contentment and the dreaded FOMO (fear of missing out). Psalm 16 was her centerpiece scripture. I was immediately drawn in as those eleven verses comprise one of my favorite psalms. I realized after the 30 minutes had passed, I have been missing the Psalms. I think this is the best type of feeling you are missing out. time in many years it feels nothing like a drudgery and all parts joy. The Psalms anchor me and I sometimes forget. Encompassed within them are much-needed reminders of God’s goodness and faithfulness. I revisit the reality that His perspective and mine are usually not in unison. I connect with the writers who knew that apart from God there was nothing good. I simply need to be drawn back to the character and majesty of God. Today I am in a coffee shop with Courtney. People are working and chatting and making business calls. I pull out a notebook and take up a neglected but familiar practice. I fan the pages to find where I left off and I write out a psalm. My body feels tension on the side where my longhand tumbles out ancient letters. I am weakened by technology. I didn’t feel the “writing process” could be reproduced upon a keyboard. and later give permission for the keyboard to imprint them upon a screen. 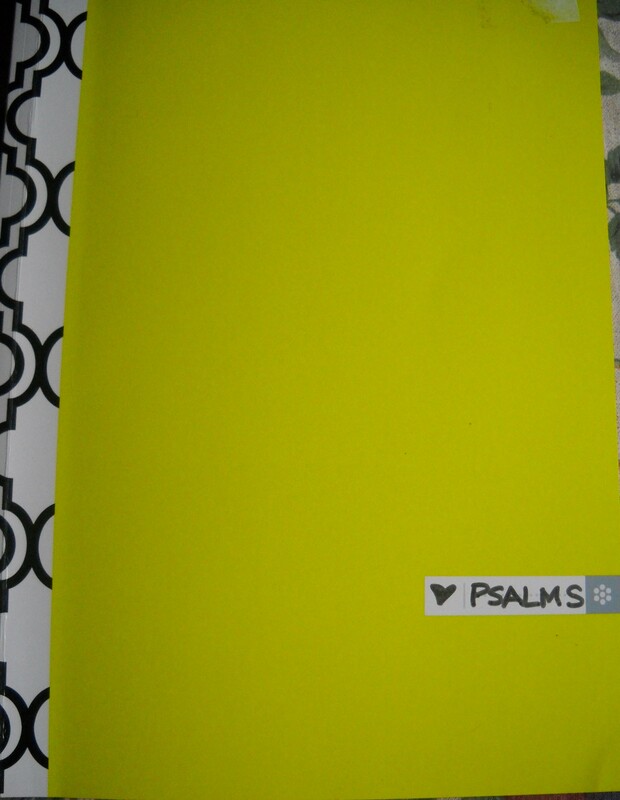 I need the Psalms to keep me afloat in this turbulent world. I need the feel of hand against paper and ink spilling out to cover its nakedness. cause me to hover over the tissue paper and not dwell within the bold print. angle which penetrates my soul. It allows me to become a psalmist too. Today I am thankful for paper, ink, keyboards and those mighty psalms. What familiar ways have escaped your grasp and need to be recaptured?